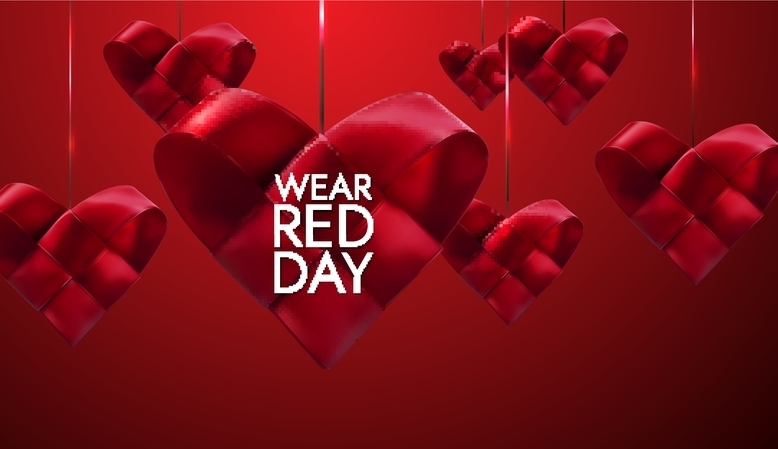 The American Heart Association (AHA), has declared today, Friday February 1, 2019, National “Wear Red Day,” for heart disease awareness. This is the kickoff to the month of February being National Heart Disease Awareness Month. This awareness campaign begins with the release of an alarming update to the ‘2019 AHA Heart and Stroke Statistics,’ published in the Thursday January 31,2019 issue of the journal, Circulation that almost half of all adults in the United States have some form of heart disease. This affects over 120 million Americans. The study points to changes in blood pressure measurement guidelines as the main reason for the increase in the number of people being diagnosed with heart disease. High blood pressure is a major risk factor for heart attacks and strokes. The AHA stresses that awareness will save lives and by even taking the simple step of having one’s blood pressure checked by a medical professional can mean the difference between life and death.